The Way the West Was Won. 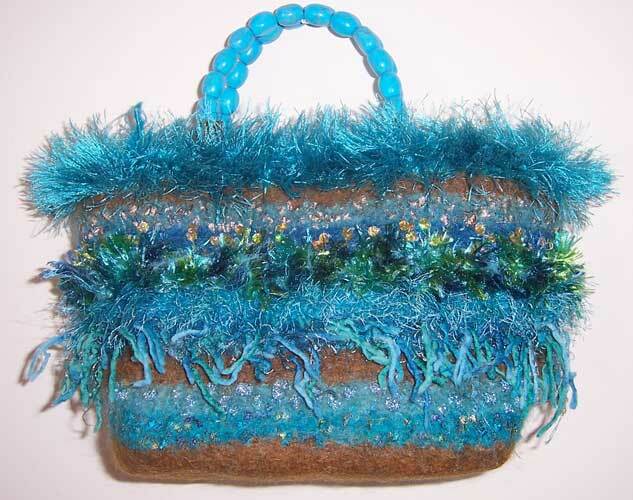 Right in style with this turquoise and brown handbag. Turquoise fur and turquoise colored howlite beaded handles. Gold sequins add sparkle. Approximate dimensions 7 (h) 9 (w) 4 (d).